The Andrew W. Mellon Foundation has generously provided funding for Digital Directions for the Arts and Humanities at Guilford College. With support from the Guilford College president and a grant from The Andrew W. Mellon Foundation, the Digital Scholarship for the Arts & Humanities Initiative is pleased to issue a new call for proposals for projects or courses in the digital arts and humanities. The Andrew W. Mellon Foundation is a humanities-centered foundation that is primarily interested in supporting academic programs, including general education curricula, which strengthen the arts, humanities, and humanities-focused social sciences.  Guilford College has received a three-year grant from 2014-2017 to support instruction designed to strengthen student writing, critical thinking, digital literacy, undergraduate research, and language acquisition. The purpose of this grant is to encourage and support the academic community in integrating new technologies into their teaching, scholarship, and creative work, from a perspective within the arts and humanities. Ideal project proposals should be student driven and faculty facilitated. Projects can emerge from any combination of academic disciplines, but best practices often demonstrate a commitment to sharing of tools, methods, and insights, as well as new connections between thinkers and makers, and transform how we connect with others through scholarship. To learn more about digital scholarship, please see this guide. The first phase of the grant-cycle involves five faculty-led pilot projects on the following timeline: two for Fall 2015, one for January Term 2016, and two for Spring 2016. Faculty may apply through the Pilot Project Proposal Application and each approved proposal will receive a $2000.00 stipend (less payroll taxes). To learn more about the grant stipulations, please refer to the Mellon grant proposal. For consideration for Fall 2015, please complete the application below before 5 PM on March 25th. The Fall 2015 awarded proposals will be announced on April 29, 2015. Projects must be completed by the end of the Fall 2015 semester, at which time stipends/projects costs will be processed. Faculty in need of professional development to enhance their skills for integrating technologies into their teaching, scholarship, and creative work, from a perspective within the arts and humanities, may seek financial assistance to attend workshops, institutes, and conferences through the Faculty Development Proposal Application. Ideal proposals should be unique training opportunities that will add value to one's scholarship, the College's culture of digital scholarship, and to the Guilford community of learners. Prior to submitting proposals, applicants are strongly encouraged to contact Kathy Adams, Director of Faculty Development, or Anders Selhorst, Research & Educational Services Librarian, for consultation in preparing their proposal and to address questions about the review process. This grant provides financial support for faculty experimentation with and integration of technologies in their teaching, scholarship, and creative work, from a perspective within the arts and humanities. 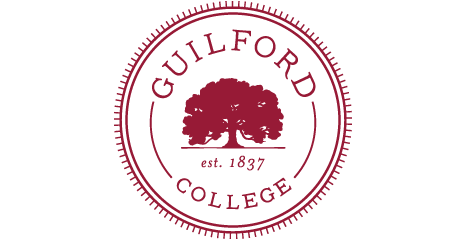 This Google form will require you to login via your Guilford College username and password. Ideal project proposals are faculty facilitated and highly engaging for students, and emerge from any combination of academic disciplines--but best practices often demonstrate a commitment to sharing of tools, methods, and insights. These new connections between thinkers and makers transform how we connect with others through scholarship. This grant provides financial support to faculty interested in enhancing skills for integrating technologies into their teaching, scholarship, and creative work, from a perspective within the arts and humanities. This Google form will require you to login via your Guilford College username and password. Ideal faculty development proposals should be unique training opportunities that will add value to one's scholarship and to the Guilford community of learners. << Previous: What is Digital Scholarship?